TigerGraph has brought forward a free Developer Edition of its graph analytics platform for lifetime non-commercial use. But, please, what is graph analytics? Mike Ferguson of IBM further defines four ‘types’ of graph analytics here. Path analysis: Determines the shortest distance between two nodes in a graph. Connectivity analysis: Determines weaknesses in networks. Community analysis: Determines distance and density–based analysis in groups of people and identifies whether individuals are transient or if the network will grow. Centrality analysis: Determines the most influential people in a social network or most highly accessed web pages. Back to the news story that drove this post, TigerGraph produces a graph analytics platform for developers to create their own big data graph applications i.e. ones whose central function will feature an element of the types of data analytics relationships detailed above. This technology stores all data sources in a single, unified multiple-graph store that can scale out and up to explore, discover and predict relationships. 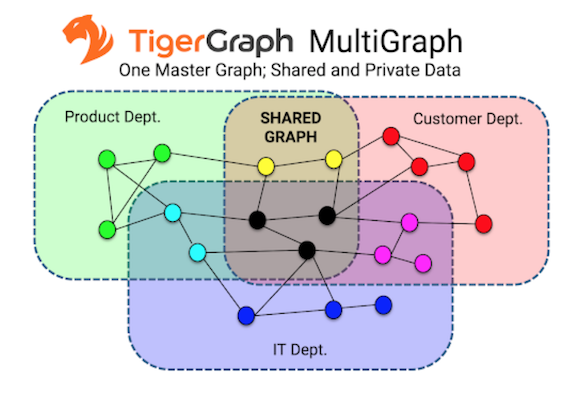 Unlike traditional graph databases, TigerGraph can scale real-time multi-hop queries to trillions of relationships. TigerGraph offers enterprise graph MPP (massively parallel processing), to support big data, complex business queries – all with GSQL, the graph query language that is claimed to be intuitive for people who already know SQL. Other graph analytics tools include Neo4j and Amazon Neptune.